What is better in a beautiful spring or summer day to invite your friends for an aperitif in your garden or in your terrace? 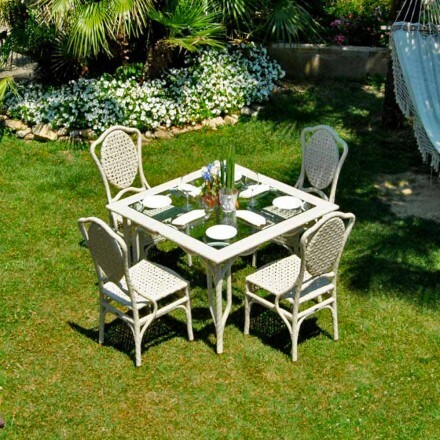 On our website you can find all the perfect outdoor furniture to create a magic garden. For those who love a complement of furniture functional and resistant they can choose amongst the many models of the aluminium outdoor tables. This solution is perfect if you need to occupy your external space just when needed. This table is light, folding and easy to move. Like folding table you can find the Queen model by Talenti. 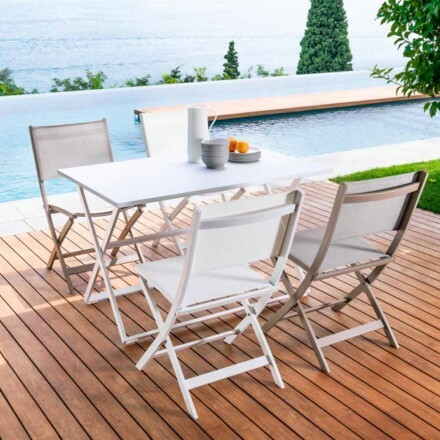 This material is resistant to impacts and scratches, so your garden table will remain for a lot of years in optimal conditions, always ready to beautify the outdoor of your house. In this category you can find a lot of aluminium tables models: coffee tables round or square, like the Bistrò models by Talenti or Fast Tonik by Fat Outdoor, ideals for a little corner of relaxation. Tables to welcome your guest for a lunch or a candlelight dinner. We show you: the Rope table by Talenti with the top in tempered glass and Fast Outdoor's models Fast Mediterraneo and Fast Radice Quadra. If you want an elegant touch pick the aluminium in combination at the top in glass of round shape like the Circle model by Talenti. All the products that we have in our catalogue are realised with materials of high quality and they are the outcome of an attentive selection made by ous staff. Remember that if you have some doubts or if you want an advice we are completely available. 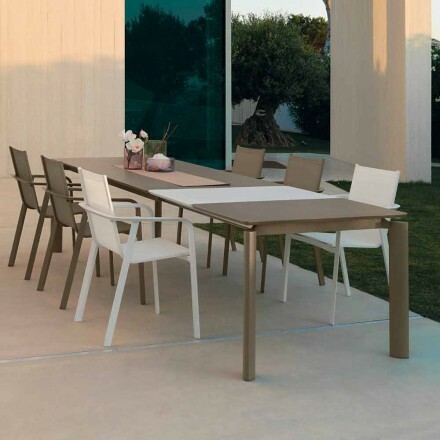 It will be a pleasure for us to help you to choose amongst the models and the colors the aluminium garden table perfect to reflect your personality!